As you read game recaps and analysis of this year's World Series, you may be surprised to learn the actual copy was "written" via artificial intelligence software. For the past few years, the Associated Press has experimented with Wordsmith, an AI-powered program that gathers and uses data to "cover" Minor League Baseball games. In essence, the program distills basic game statistics and facts into a format that can be consumed by readers. This practice, known as automated journalism or robo-journalism, is increasingly being adopted by major news outlets like The Washington Post to cover both sports and other areas of reader interest that involve routine repackaging of information. The rise of robo-journalism illustrates how artificial intelligence is already influencing us, often in ways we may not even realize. Here's a look at three ways AI has become a part of our everyday lives. Artificial intelligence has become such a part of consumers' everyday lives that it often influences what we buy by way of recommendation engines. In fact, this type of AI-powered software program can recommend free or premium content to users based on a comparison of their browsing or purchase history compared to other users who fit a similar profile. Notably, experts point to Netflix as one of the first pioneering companies to use recommendation engines for the purposes of suggesting TV shows and movies to users based on their search and viewing history. Of course, the buck doesn't stop there, as consumers have become accustomed to seeing recommendation engines on YouTube and Amazon.com, which generates more than a third of its sales from this technology. Inspired by these successes, retailers at-large are adopting recommendation engines, which now account for 27 percent of all retail website revenue. 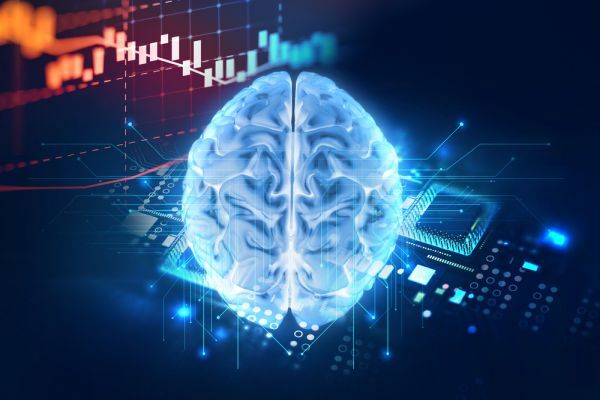 Beyond influencing what we watch and purchase, AI also shapes how we conduct financial transactions via security protocols for digital payments. For instance, each time a digital payment is initiated, the payment processing provider must determine whether the transaction appears fraudulent before approving the sale. And with global payment providers handling an estimated 726 billion transactions annually, this task is crucial to the financial well-being of all businesses. To speed up the process of reviewing digital transactions, payment processing providers have been using AI to review transactions. AI can automatically evaluate transactions by comparing them with a customer's purchase history and databases on known fraud cases, making it easier to flag suspicious transactions. AI automation subtly permeates the way consumers interact with support teams, thereby accelerating the handling of all support tickets. For example, many companies now use a call center in the cloud to facilitate the automated handling of phone support tickets through IVR (Interactive Voice Response) systems and solutions. In particular, IVR can automatically identify the phone number of the caller, retrieve their customer service history, predict what they're most likely calling about, and present relevant menu options, including self-service options. IVR can also use natural language processing, allowing customers to interact through voice input rather than automation to hasten ticket processing. Cloud-based call centers are also helping companies automate service delivered via live chat. For example, automated chatbots are able to handle routine service tickets initiated through live chat, allowing customers to receive self-support through web portals, mobile apps, Facebook and Twitter. By 2020, 25 percent of customer service interactions will be handled by chatbots. Whether we realize it or not, artificial intelligence already plays a major part in our everyday lives. From recommendation engines that influence what we buy to automated self-service tools such as IVR and chatbots, AI definitely pervades our lives as consumers. As AI adoption continues to grow, this technology will increasingly influence the manner in which we window shop, buy and interact with companies.